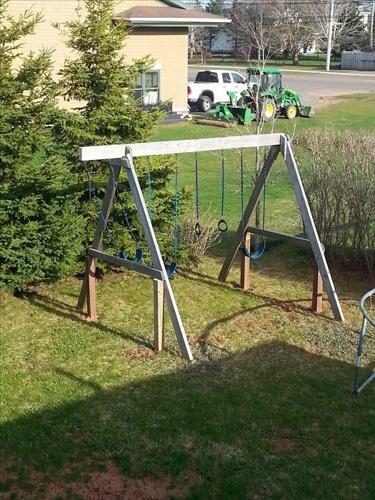 Well built Wooden swing set. 3 Swings set of rings and a yellow 10 ft plastic slide (slide not shown in picture). Swing set in very good shape.